The Spiral® door offers high-speed operation for high-traffic situations and rigid aluminum slat construction to eliminate the need for a second security door. Crisp lines give the Spiral door a look suitable for many types of applications. The Spiral features no metal-to-metal contact for reduced wear on the door panel and fast, quiet operation. Opening speeds from 1524 to 2540 mm (60 to 100 in.) per second allow for improved traffic flow and enhanced customer perception. 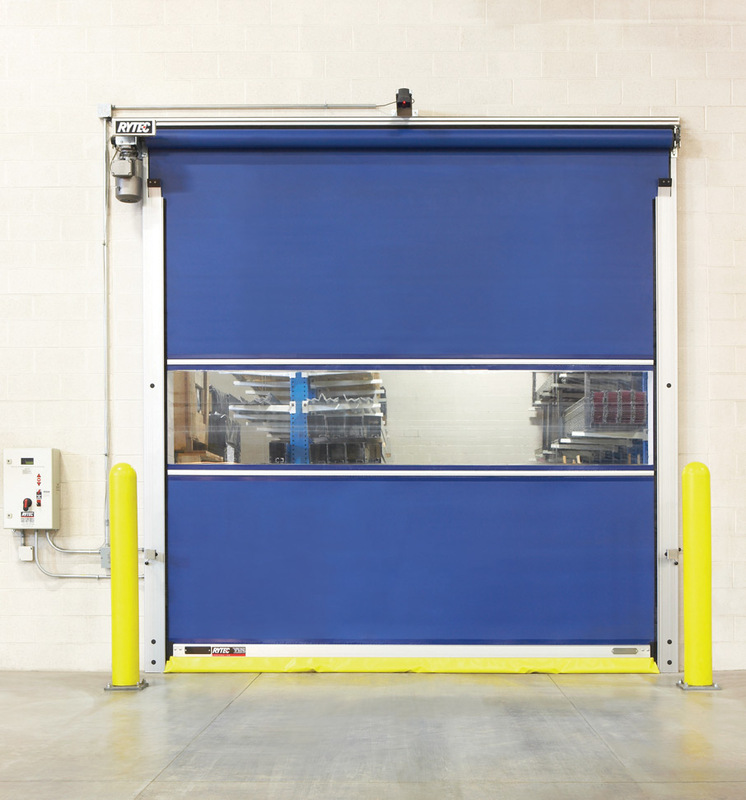 Counterbalance system, patented spiral design, and AC drive reduce wear and increase door longevity, with minimal preventative maintenance. Enhanced safety elements include Pathwatch® Safety Light System, dual thru-beam photo eyes and reversing edge. 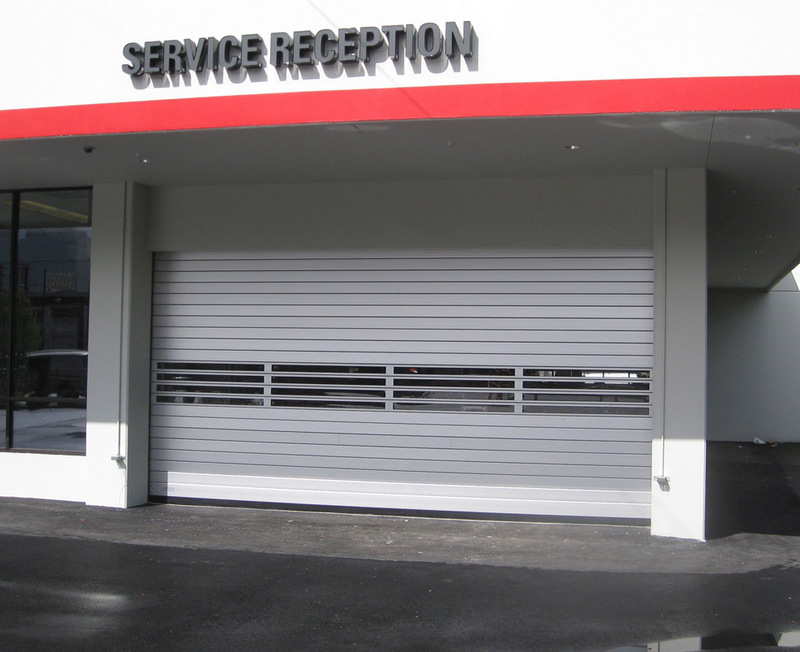 For auto dealerships, the doors' lower maintenance, lower energy costs, and increased productivity allow customer service, comfort, and the overall working environment to be the focus. Parking applications, residential buildings, office buildings, and professional facilities operate efficiently and securely with Spiral doors, which help maintain traffic security, control, and efficiency. 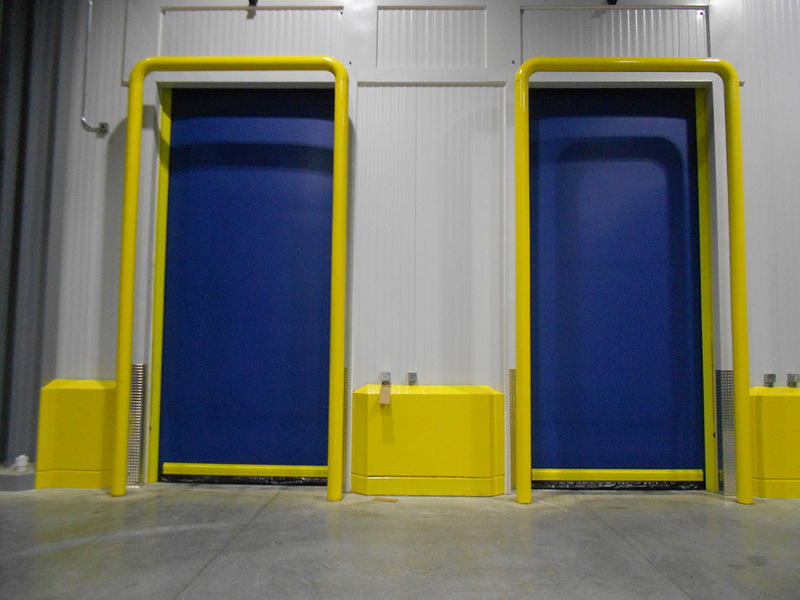 From design firms to multifacility property management companies, Rytec Spiral doors provide high-performance security for an array of parking operations. The Spiral features a durable powder-coated finish in standard ‘Rytec silver’ or is available in RAL classic colours or custom match.